The moment you jump in an RV, anything is possible. The whole world awaits out the front windshield, and behind the captain's chair are all the conveniences of home. Grab a bite from the fridge, flip on the tube, or take a hot shower in your own bathroom...even when you're miles from civilization. In reality, the civilized world is at your fingertips 24/7, whether you're boondocking deep in the Alaskan wilderness, or parked in your driveway. 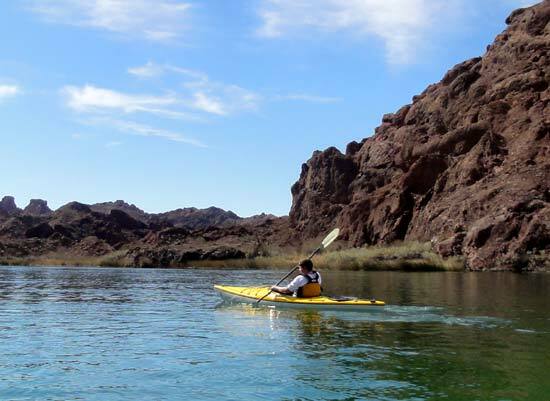 There is no other mode of travel that can compare to the convenience and flexibility of RV travel. I love the outdoors. Hiking, mountain biking, kayaking, cross-country skiing, and snowboarding are my favorite activities. But I had a problem...I lived in a city surrounded by a sea of corn, and had to travel a good distance just to enjoy these activities. Eventually I realized that with an RV, all I need do is step out my front door, and the adventure could begin. I could put the RV in the parks, near the trails, and next to the lakes and rivers...step outside, and have paradise at my feet. 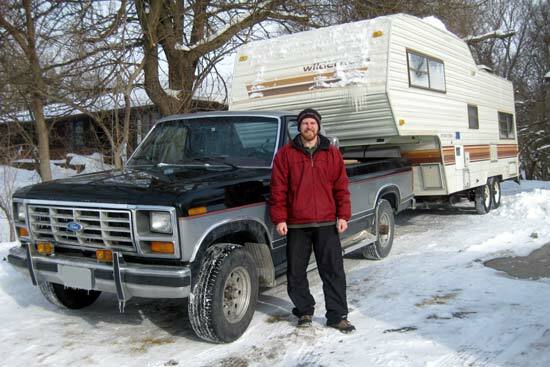 With retirement far in the future, I had to figure a way to pay the bills while living this RV lifestyle. I realized that if I could make money online, all I would need is an internet connection...I could live and work anywhere! I decided to sell products online. There was one problem...putting a warehouse in an RV seemed a logistical impossibility. After some research I found out about drop shipping, where the big warehouses would take care of the inventory, so I wouldn't have to. My career with eBay and Amazon began. I sold computer software and video games at first, then moved on to health and nutrition products. With the money I made online I purchased a second hand truck and a 5th wheel travel trailer. Neither was in tip-top shape (far from it!) and much work needed to be done. I spent 5 months making repairs and outfitting the RV for full-time self-sufficient living. 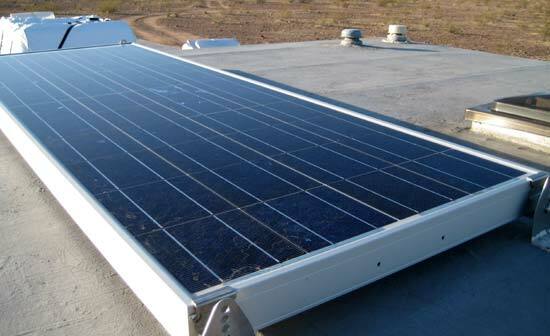 I installed a solar panel on the roof, repaired a leaky freshwater tank, reconstructed some of the rear wall and floor (after discovering water damaged wood), purchased an efficient catalytic heater (which uses no battery power), furnished the upstairs bedroom with a computer desk, waterproofed the exterior (which needed lots of putty tape! 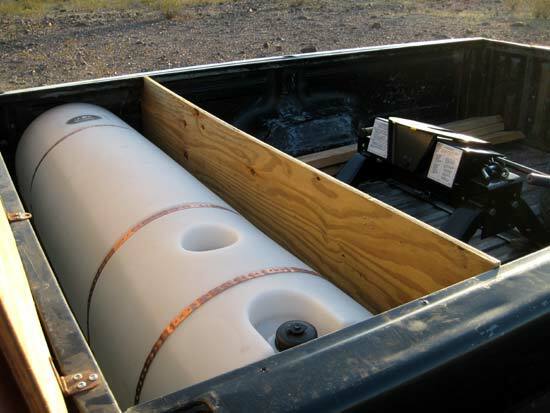 ), and mounted a 45 gallon water tank in the bed of the truck, enclosed in a makeshift plywood box. After months of work, I was finally ready to hit the road. And with Iowa in a deep freeze, I didn't delay. My first priority was pointing the RV south to warmer climes, then west to sunny Arizona where I heard there were plenty of places to camp. 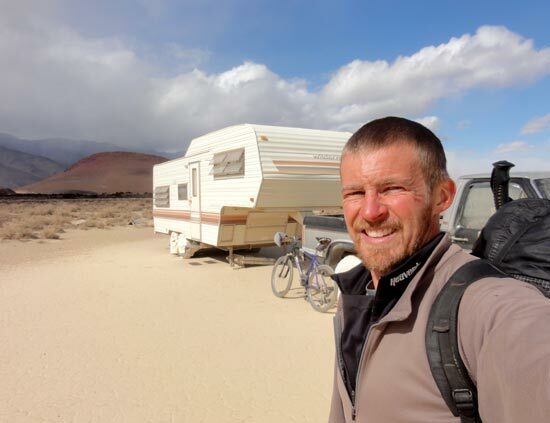 That was January 2010, and I'm still at it, traveling as a full-time RVer and living a life I never thought possible. It's been one big adventure, and I wouldn't trade it for anything. I created RV-Boondocking-Adventure.com out of my passion for the RV lifestyle. Being a full-time RVer, it was a natural fit. This website is where I'll share my knowledge, experience, and adventures that come from a life on the road less traveled. New content is always being added, so be sure to make a pit stop now and then. Speaking of which, you can add content too! You can post a free campsite or send in a boondocking tip. A new page will be created just for you. And now, as John Muir once said "The mountains are calling and I must go." Don't let the adventure pass you by! Here are 3 ways to get RV-Boondocking-Adventure.com headed your way! I promise to use it only to send you Adventures in RV Boondocking. 2) RV Boondocking Blog Stay informed on what's new at RV-Boondocking-Adventure.com. Receive up-to-the minute notices via RSS. Click here to find out more. 3) Visit RV-Boondocking-Adventure.com's Facebook Page and while you're there click the Like Button at the top of the page. You'll find lots of boondocking photos with information on where to camp.